"Thanks to the information you brought me from Spain, two German submarines have been sunk before they even reached the Mediterranean. That's a victory already. As for the photographs of the code, they allowed us to decipher the documents we couldn't decode." Captain Ladoux held out his hand to Thérèse Arnaud. "Congratulations on the Spanish business, C.25. But don't weigh yourself down about Mata Hari! She's a dancer! Believe me, we have many things more serious to think about." "We'll see!" Thérrèse Arnaud replied with a smile. Thérèse Arnaud, a.k.a. Agent C.25, is a member of the French Deuxième Bureau secret service tasked with fighting enemy spies operating in WWI France. She is a thoroughly modern woman: independent, intelligent, sure of herself and of her calling. She deploys and controls her own network of sub-agents and poses as Mademoiselle Janine Félerat in Parisian high society. 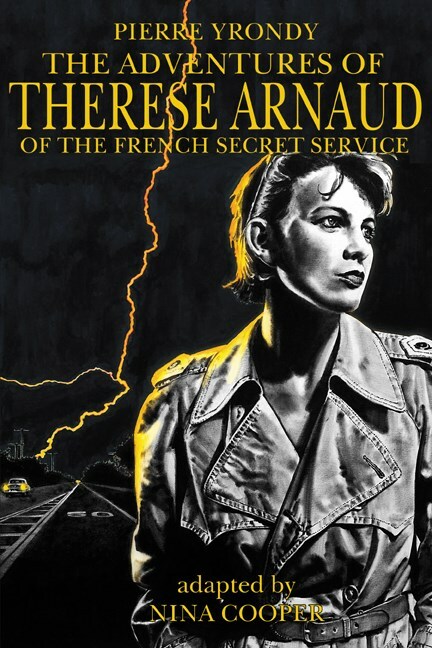 Thérèse Arnaud, the creation of mystery writer Pierre Yrondy, is one of the few long-standing female characters in popular French literature. Her adventures were published in 65 magazines in 1934-36, and reprinted in 1946. The eight episodes translated in this collection include Thérèse's epic battle against German spies Karl Himmelfeld, Mademoiselle Doktor, and the notorious Mata Hari.